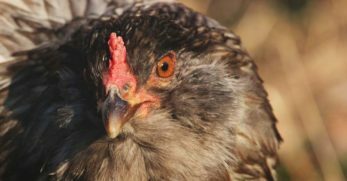 Do you have lots of questions about your chickens? A lot of people do. They may seem like seemingly simple questions, but there can often be many different answers. 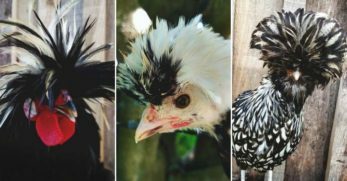 So I wanted to take a few minutes and answer some of the most common questions that chicken keepers have. For instance, a lot of people want to know how does a chicken actually live? When do they start laying? 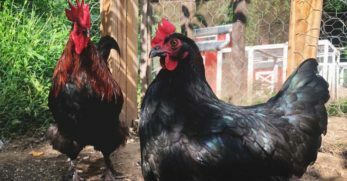 Why do roosters crow? And let’s not forget the topics of which foods chickens can eat, how cold is too cold, and do you really need to heat their coop in the winter? Well, there is only one way to find out. I’m going to answer these questions from my own experience and research. Once you have read this and if you have experiences you can share to help educate others, please do! 1. 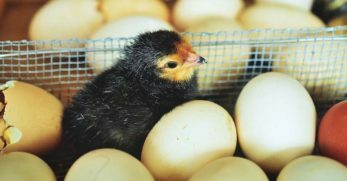 When Do Chickens Start Laying? The answer to this questions can vary. 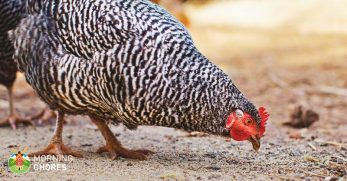 A chicken will begin laying when she has reached sexual maturity. For smaller breeds, this can happen sooner, but for larger breeds, it can take a little longer. 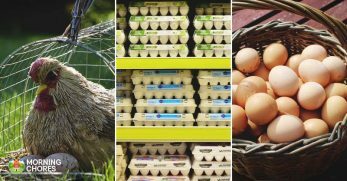 So on average, your hens will begin to lay around the 6-month mark. Again, check their breed size because you may begin seeing eggs a litter sooner or later from that average mark. But another great way to know that your hen will begin laying soon is if you have a rooster. Roosters know when hens are becoming mature. 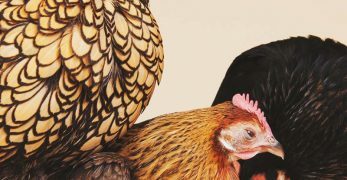 They will begin to try to mate with them if your hen is maturing sexually. So when you see this happen, keep an eye on the nesting box because eggs will be coming soon. 2. Why Does a Rooster Crow? I am so happy to answer this question. 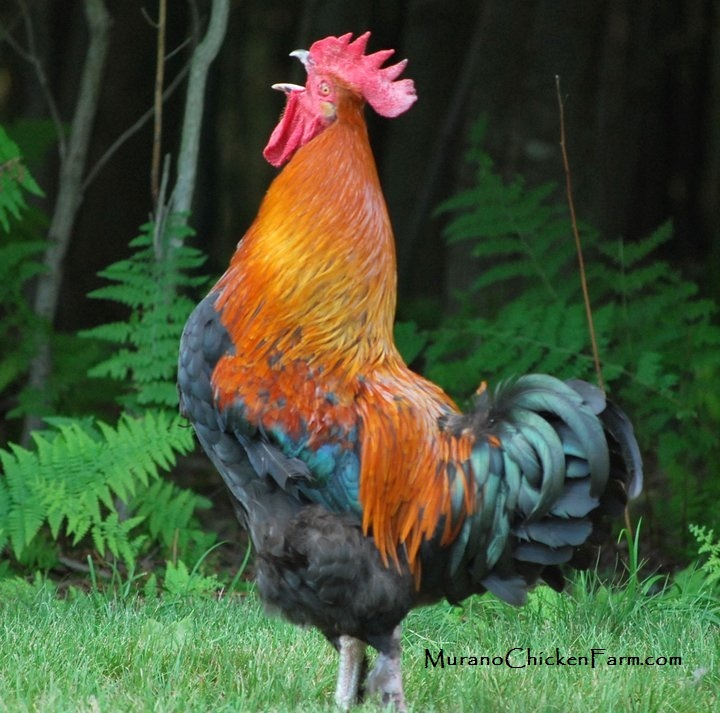 I am overrun with roosters right now so our homestead is very loud! But I’ve really begun to like a few of them so I’m dragging my feet on culling them. Right now, they are just kind of roaming around our property, feeding, and crowing. So let’s talk about why roosters crow. There are actually multiple reasons why a rooster will crow. 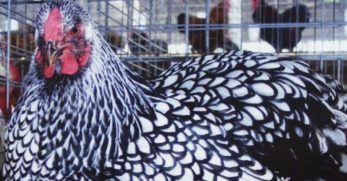 First, roosters have a circadian rhythm within them. This is basically an internal clock that lets them know when the day begins and when it ends based on the sun rising and setting. So some roosters have a clock that tells them to wake up ahead of the sun to get a jumpstart on hunting, foraging, and defending his territory. 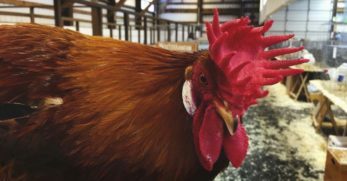 Well, when other roosters hear this rooster begin to crow they all do because they are all stating their dominance, territory, and their all-around manliness. 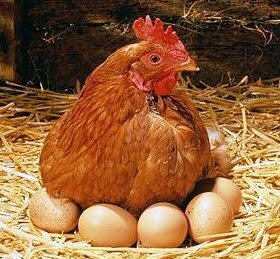 Third, a rooster will often crow when a hen lays an egg. Roosters are called cocky for a reason and not just for how they walk. They will literally crow to gloat when one of their hens lay an egg. Again, to kind of thump their chest over how great and wonderful they are. 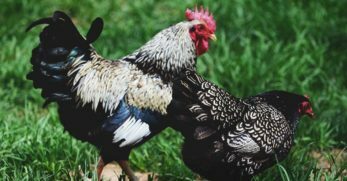 Finally, roosters crow to communicate with their hens and other roosters. 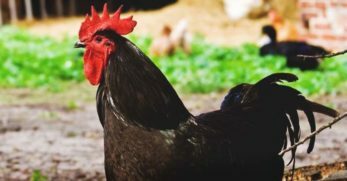 If they think a rooster is trying to take his turf, he is vocal to let him know that he isn’t going down without a fight. He will also crow to talk with his hens. For instance, a hen will often make a loud scream sound if she sees something she believes to be a predator. You will often hear the rooster crow right after to let her know he heard her or he sees it too. Keep in mind, some roosters are just more vocal than others. Some people report having roosters that crow in the middle of the night. If you have a talkative rooster, you often have to accept them as they are just as you often have to do with a talkative human. 3. 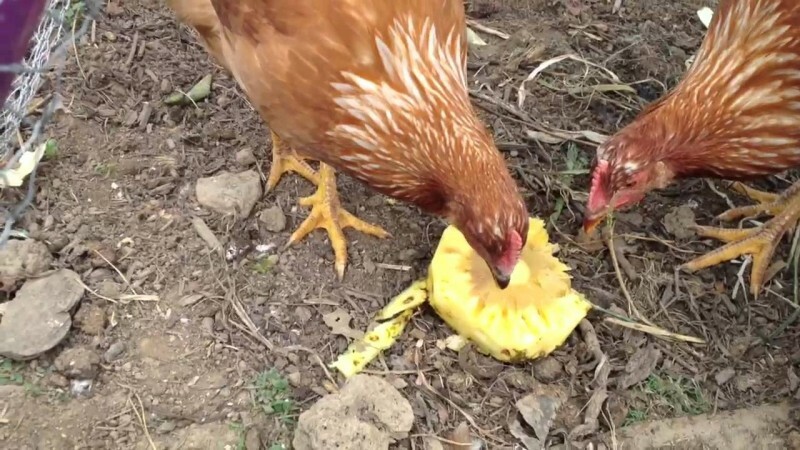 Can Chickens Eat Pineapple? 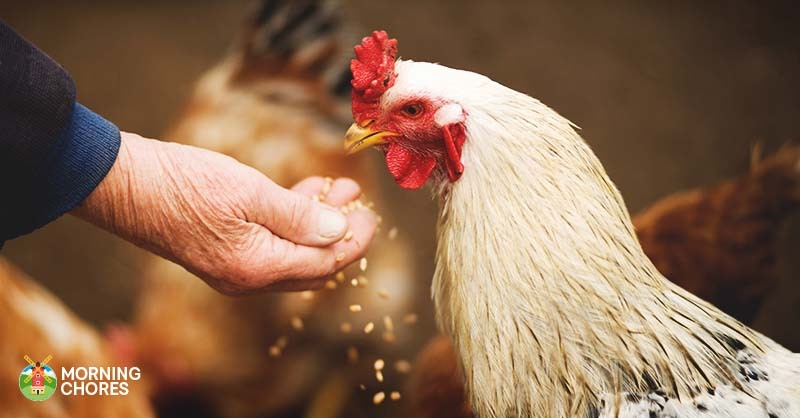 Here is a list of foods you should not feed your chickens. A lot of people follow the rule that if they can eat it, then a chicken can eat it too. So I say, it is your flock, you decide which list or method you wish to follow. As far as pineapple specifically goes, you can try it. The jury is out as to whether it is actually good for them or not. For me, I feed my chickens the flesh of the pineapple. I don’t feed them the skin because it is prickly, and I wouldn’t want to eat that myself so why would I expect them to? But my chickens seem to really like pineapple, and I have had no issue with feeding it to them. Again, this was my experience and my decision to feed it to them. That is a choice you have to make for yourself and your flock. 4. How Do I Keep My Chickens’ Water from Freezing? 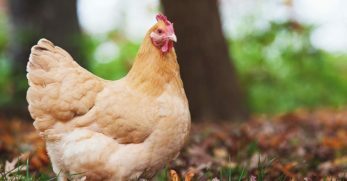 There are actually multiple methods that work for keeping your chickens’ water from freezing during the colder months. First, you can simply bring the chicken waterer inside your home at night when the temperatures drop below freezing. We have done this in years past, and it is a bit of a hassle carrying the waterer back and forth, but it keeps the water from freezing. However, be sure not to take the water from the chickens until they’ve roosted and try to get it back out to the coop as early as you can in the morning. 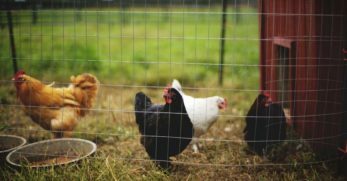 You don’t want your chickens going more than an hour during the day without water. Their bodies put in a lot of work over the colder months to sustain themselves in harsher weather. Water is a must. Next, you can put the waterer inside an old tire. The rubber works as an insulator and will keep the water from freezing during colder temperatures. Third, you can create this cookie tin water heater. Then you just set the waterer on top of the heater and it keeps the water thawed all the time. 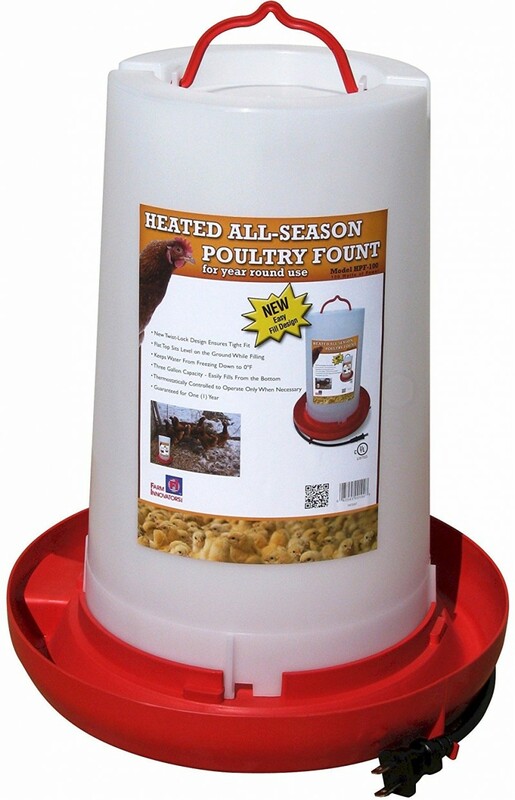 Finally, you can purchase a heated chicken waterer. It is electric so you’ll have to have a way to plug it in, but it will keep your chickens’ water thawed all winter long. 5. Do I Need to Heat My Coop in the Winter? If So, How? 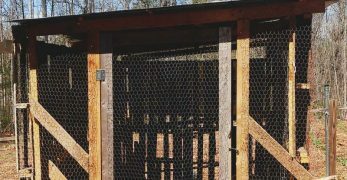 In my personal opinion, you do not need to heat your chickens’ coop unless you live somewhere with extremely harsh temperatures. If you live in the lower 48 of the United States, then you should be good to go. But if you insist on heating your coop, please I beg you, do NOT use heat lamps. They cause so many fires. Then you lose your coop, your birds, and often a lot of things on your property that the fire reaches. So please be safe. 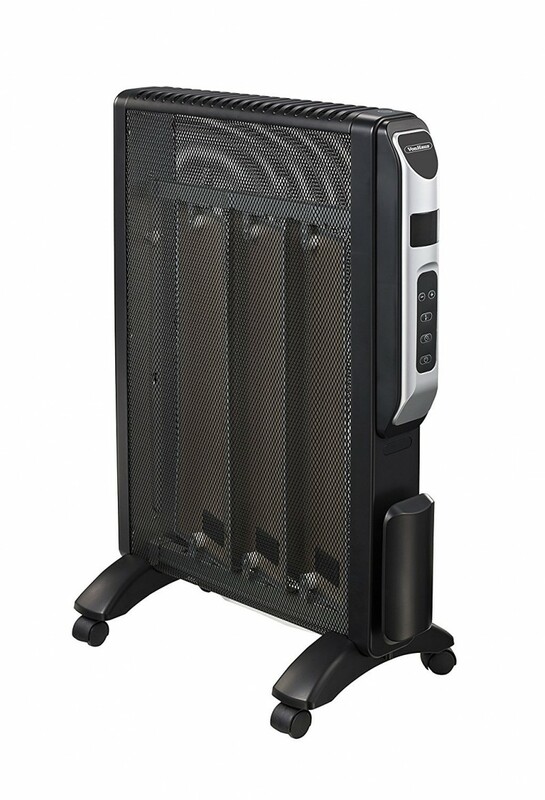 Instead, use a radiant flat panel heater. You can safely place it on the wall of the coop or on the ceiling. However, be sure that you do appropriate maintenance on the heater from the dust that chickens stir up. But another word of caution, you will only want to raise the temperature in the coop a couple of degrees from outside temps if you decide to heat the coop. The reason is your birds will never properly acclimate to the outdoor temps if you keep the coop super warm and outside is freezing. Then this could actually lead to the death of your birds. They’ll go outside and literally freeze to death because their bodies aren’t able to do what they were made to do. So as I said, I personally think it is best to let chickens do what they were meant to do. 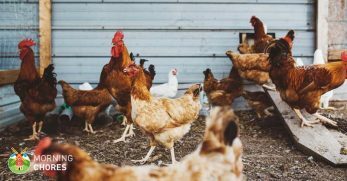 However, you should do what you can to leave proper ventilation in the coop over winter while stopping strong drafts from coming through the coop. As long as they have ventilation without wind whipping them to death, they should be just fine. 6. How Cold is Too Cold for My Chickens? So I live in the south in the foothills where our winters can get in the negative temps at night, but I know lots of other places get much colder and has harsher winters. Which leads me to look to them for an answer. Okay, so we have Canadian farmers and chicken keepers. In Canada, it is very common to have temperatures that are negative 20 degrees Fahrenheit. Yet, they still keep chickens. So if chickens can withstand this type of harsh temperatures, then I think they can handle pretty much anything. But you need to understand the way a chicken’s body works. They have feathers that they can fluff up to hold heat close to their body. Then they have the ability to actually stop blood flow to their combs, waddles, and feet if needed to stay warm. Finally, as a flock, they produce enough body heat to warm up their coop. I actually read where one lady tested this theory. It got down in the teens outside one night so she put a thermometer in the coop to see how warm the chickens could keep it. Much to her surprise, the birds produced enough heat that her thermometer showed the coop temperature was in the 30’s. Isn’t that wild how they can do that? So we love our chickens, and they give us lots of delicious food, but they really don’t need that much from us when it comes to staying warm or surviving in the winter. 7. 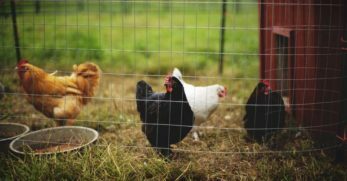 How Long Will My Chickens Live? Our final question is how long do these amazing creatures tend to live. The average lifespan for a chicken is 8-10 years. Now, realize that they won’t lay that long. 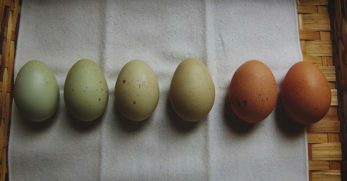 A hens' egg production lessens with each passing year. Usually, around year 5, you begin to notice a steep decline in egg production. That is why most people rotate hens every couple of years. 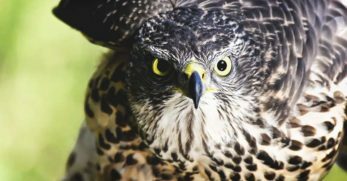 But if you don’t mind having a bird around that eats more than she produces and as long as she doesn’t fall ill, then you should expect to have about 8 years with her. 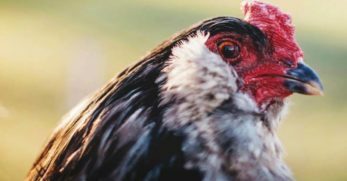 So I hope I’ve answered as thoroughly as possible some of the most common questions among chicken keepers. But now I want to hear from you. Do you have any other experiences you can share that go along with some of these questions? If so, we’d love to hear. 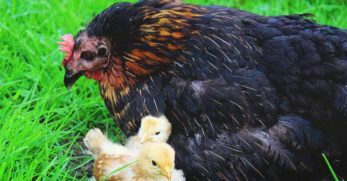 Do you have any other questions about raising chickens? We’d be happy to point you towards some of our other resources, or even do another post answering more common questions. So please, leave us your thoughts, questions, and comments below.